To say that Western Automatic singer/guitarist Alex Chadwick is a wealth of musical knowledge is an understatement. He was featured in a video made by Chicago Music Exchange titled "100 Riffs (A Brief History of Rock N' Roll), in which he gives viewers a chronological history of rock 'n' roll. The video has garnered more than 14 million views on YouTube. I had the chance to talk to Chadwick about Western Automatic, which recently played at the Metro in Chicago. Q - Great talking to you. I understand you guys are working on a new album. When do you plan to release the album and what should people expect? Yeah man, we've been working for the last six months on our first full-length and we're probably a month out from having all the tracking finished. We're hoping to have everything ready to go out later this year although we haven't set a date. Our first EP was kind of all over the place stylistically, these new songs are a lot more cohesive and thematically linked. The album overall is a little heavier and spacier than our earlier stuff and lyrically its a bit darker. Q - Is there a story or meaning behind the band's name? The band name actually came from a place on Western Avenue with a big sign on the front of an old brick building that said, Western Automatic Music. I was passing it on the way to work every day. I think they used to sell record machines and jukeboxes, and the whole thing looks pretty run down at this point. It just made me think about the idea of technology versus decay, how even our best and smartest work will eventually lose out to nature, and that theme started to creep into the songwriting. Plus, I just think it sounds cool. I've never been able to get a solid grip on the music scene here in Chicago, it all seems so disparate. I know a lot of bands and have a lot of musician friends but it seems to me like there are several isolated scenes that just happen to be in the same city. I honestly have no idea where we fit, we've shared stages with a lot of really great bands but I can't say we're tied to any real scene. We just go and play and hope it connects with somebody, and I don't worry about anything past that. Q - I am sure you are constantly asked about the "100 Riffs" video, which has received more than 14 million view on YouTube. Did you ever expect the video would create such interest? I do get asked about that video a lot, and it's always cool to be recognized for it. It really never gets old, I always feel like a rock star when people bring it up, even though it's three years old at this point. I definitely didn't expect it to get as big as it did, I just put it together for fun after David Kalt (the owner of the Chicago Music Exchange) wanted something cool for our YouTube channel. It took a few weeks of arranging the songs and a few hours of trial and error in front of the camera, and a couple weeks later it blew up. I got to do a bunch of radio and print interviews all over the world and it got me into some weird and cool places, but the coolest thing to come out of it might be when I ran into Chad Smith from the Red Hot Chili Peppers and he told me I screwed up their songs. He was kidding but it was pretty funny, and definitely surreal for me. Q - How hard was it to do 100 guitar riffs in one take? How did you decide upon these particular riffs to do? I really wanted the video to come off as a history lesson of sorts, something you could watch and see the trends in rock music over the years. I looked over "Billboard" charts and old "Rolling Stone" articles and tried to find songs that were popular and musically impact-full, and after that it was just a matter of picking and choosing which ones flowed into each other. There were plenty of great songs I had to leave out, otherwise it could have gone on for days. It wasn't that difficult to put together the hundred I used, by the time I figured out which riffs I was going to include I knew them each pretty well. The hard part was deciding which ones would be cut. Q - How many guitar riffs do you think you know? I've played in a lot of cover bands over the years and for a while I made a living playing acoustic shows around Illinois, so I would bet the riff totals would easily be somewhere in the high hundreds. I used to play for all sorts of audiences so I had a set for rock, blues, classic rock, country, it was all over the place. Short term, I want to make this record as good as possible and put on the best shows we can in the meantime. Long term, I want to continue making great music with these guys and have a good time, and if we can grow our audience in the process, that would be great. 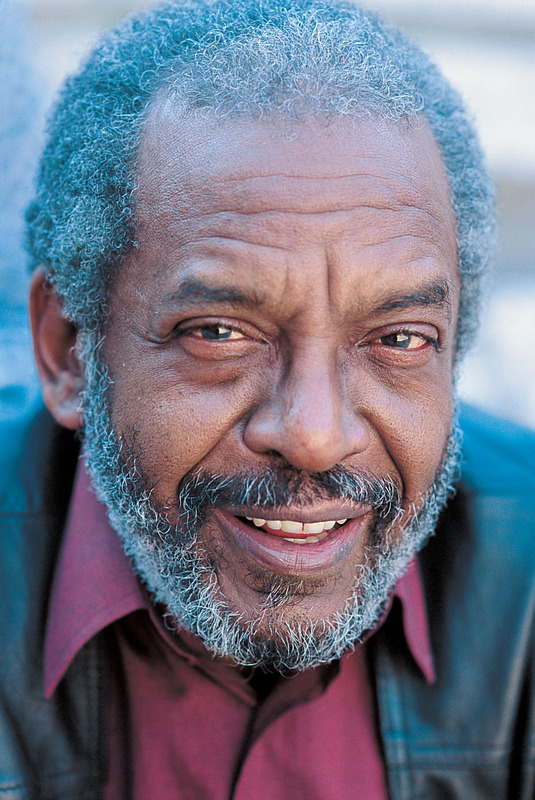 Wendell Holmes, vocalist, guitarist, pianist and songwriter of the critically acclaimed soul/blues band The Holmes Brothers, died on Friday, June 19, at his home in Rosedale, Maryland of complications due to pulmonary hypertension. Earlier this week, Wendell addressed his fans and friends in an open letter as he moved into hospice care. He was 71. In September 2014, The Holmes Brothers were honored with a National Endowment For The Arts National Heritage Fellowship, the highest honor the United States bestows upon its folk and traditional artists. They won two Blues Music Awards including Blues Band Of The Year in 2005. The Holmes Brothers are featured on the cover of the current issue of "Living Blues" magazine. 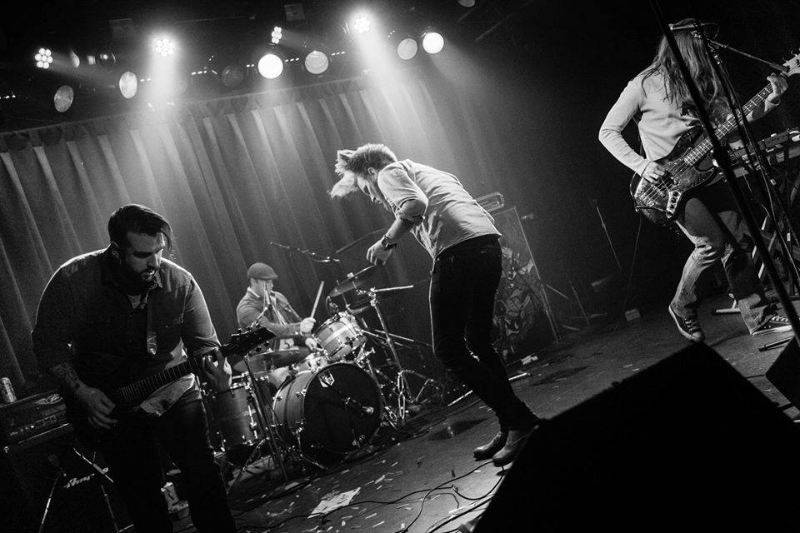 In refreshing fashion, Chicago band The Ars Nova likes to be musically adventurous, roaming through such genres as blues, funk and rock. The Ars Nova will perform June 20 at the Green Acres Music Festival in Bourbonnais. 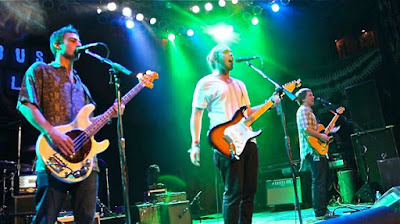 Later that day, the band will perform at House of Blues, 329 Dearborn St., Chicago, as part of the Spring Stash concert. Tickets to that show are available by going to livenation.com. 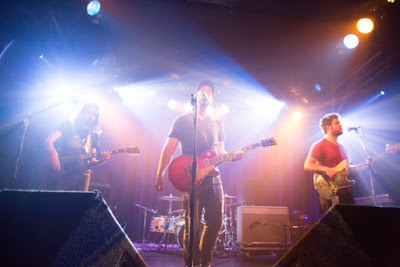 I had the chance to talk to The Ars Nova guitarist/vocalist Ryan Form about the band. Q - Great talking to you. I understand you are finishing up a new album. When will it be released and what should people expect from the album? Good talking to you too, and we appreciate you taking the time for this interview. In regards to the album release, we’re shooting for some time in July or August but it’s pretty difficult to say for sure. The tracks from our latest studio session are still in production, but we hope to have them finalized and mastered within the next couple weeks. After we have everything sounding just right, we need to take care of the logistics such as album art, printing, and the release party. Q - How do you think the band has grown since first forming? How did the band form in the first place? We all met at the University of Illinois in Urbana-Champaign. As the four of us became friends we realized that we all played the instruments to make a band, so we decided to go for it. It started off with about six months to a year of just messing around on acoustics and hand drums since we didn’t have a kit down there, but then Jon brought his drums down and the Ars Nova came into full swing. As for how the band has grown, the reasons are uncountable. First off, our sets have gone from primarily covers to maybe one per show. Our songwriting and attention to detail have made us much more critical, yet satisfied with our tunes. If you even listen to where we were at in the studio one year ago compared to today you can notice that. And after playing together for these last few years we’ve developed a certain telepathy that allows for our jams to stay tight. Having everyone riding those same mental waves is what makes jamming so much fun. Q - The band roams through several genres of music. Does the band have a favorite genre of music or do you need the diversity? We certainly need the diversity. While individually we may have a preference to particular songs or styles, switching it up is what not only keeps our listeners on their toes, but ourselves too. None of us want to get stuck in one particular genre, and more importantly we have a certain sense of pride in the fact that no two shows are the same. Bridging multiple genres has a huge hand in that. Q - It seems like the band puts a lot of energy into its live shows. What do you try to do in your live shows? Oh yeah, live shows is what music is all about. As I previously mentioned, we never play two shows the same. A lot of bands will play the same songs in the same order every show. We play different songs and we play them in different ways. There certainly are some staples that we play pretty much every show, but we make them different. We also like to branch out in our live shows. We experiment with riffs and chords and jams that we never recorded because in our eyes in a live show it’s better to expand the creativity beyond what you will hear on the radio. Q - Is there a meaning or story behind the band's name? Do you think it helps that the band has such a distinctive name? Yeah, the name comes from a music appreciation class we took in college. Ars Nova was a musical movement in the late middle ages and it means “new art” in Latin. We thought it sounded cool and we knew we were playing music nobody else was playing so it seemed fitting. We have discussed the name a lot amongst ourselves and we have all agreed that its uniqueness helps it stand out. The only problem is people knowing how to spell it, but that really comes with any band’s name. The Chicago scene is killer. We absolutely love all the venues and bands we have worked with. Everyone tries to help each other out and support one another, it’s really cool. The fact that we cross so many genres has actually made it kind of difficult to really place us anywhere in particular into the scene. We play with jam bands, alternative bands, blues bands, classic rock bands, you name it. We think that’s really awesome though, the more new ears we get to listen to our tunes the happier we are. It’s kind of hard to distinguish the short-term from the long-term since this whole musical adventure is constantly evolving and new and unexpected things are always happening. I guess some of our short-term goals would be getting this upcoming album perfected and out to the masses/media, getting outreach into other cities to grow our fan base, and playing as many festivals as possible. Some long-term goals are opening for big name artists on tour ultimately leading to our own tour, more and more recording, and in the end we just want to spread the joy of music by playing music that both our listeners and we love. The summer music season will start off on the right note with the eighth annual "A Day in the Country," which will be held June 14 at The Hideout, 1354 W. Wabansia Ave., Chicago. 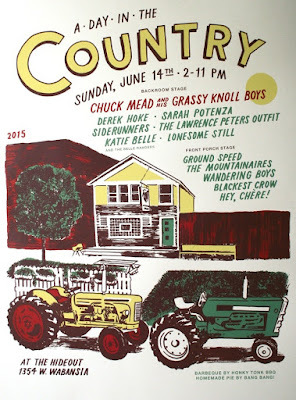 Tickets to "A Day in the Country" are $10, available at www.ticketfly.com. Q - Great talking to you. This is the eighth year of "A Day in the Country." Did you ever imagine that it would last this long? What was your idea for the festival in the first place? I started "A Day In The Country" because I couldn’t get The Lawrence Peters Outfit into the Chicago Country Music Festival. My friends’ groups didn’t seem to be getting that kind of attention, either, so figured I’d make my own damn country festival, with the kind of music I like. We actually got into the CCM the following year, so that worked out nicely, and I got my own little reactionary country festival out of the deal. I didn’t go into that first year thinking it would be an annual event, but you get the question “when is the next one?!" enough times, and it sinks in. I reserved a date for the following year, and started thinking about ways I could improve it. I can’t imagine not doing it, at this point, even with all the work it involves, and it is a lot of work. Q - How did you go about choosing the acts for this year's lineup? How do you think it compares to previous lineups? Booking the festival basically comes down to getting in contact with the bands I like, and seeing if I can get them on board. It’s mostly local groups, but I also have my list of national favorites. I’m very proud of this year’s lineup. I’ve been trying to get Chuck Mead for the festival, for longer than I can recall. Great to have him as the anchor for the lineup. The rest of day is a real nice cross section of Chicago’s best current acts (I didn’t have the space to book everyone I wanted), plus some favorites from out-of-town. Derek Hoke and Sarah Potenza are both coming in from Nashville for the event. Many high points for this year, maybe even more than previous years. Q - You've been performing music for more than 20 years. How did you get involved with American country music in the first place? Who or what are your musical inspirations? The radio was always on, when I was a kid, and it was usually the country station. I grew up in the 70s, when the current hits were played back to back with the classics of previous years, so I got an education on most of the greats. I don’t remember when I first heard Ray Price, Webb Pierce, or Hank Williams, but those were early influences. C.W. McCall and Loretta Lynn were contemporary favorites, and still are. I’ve seen many peaks and valleys in the Chicago music scene since moving here in ’92, and I think we’re at a pretty good place, currently. As for the country side of things, there lots of string bands, with some interesting variations on that style. A good balance of scene stalwarts, and young blood. Not a lot of honky tonk, which is my favorite, but it’s encouraging that plenty of folks are writing their own songs. My idea of where I fit in the Chicago music scene changes from day to day (grizzled veteran, lucky duck…), but I like to think that I’ve earned some respect in the country music side, as a singer and songwriter (The Lawrence Peters Outfit, Golden Horse Ranch Band, Songs: Ohia), DJ (Sportsman’s Club, WLPN), and festival booker (A Day In The Country). I think that being an electric washboard player with the Velcro Lewis Group probably has some cache, too. Mutant cred with that one. Q - I know you've been writing new songs. Will your band be releasing a new album anytime soon? Yeah, I’ve been making the most of our monthly residency at The High-Hat Club (third Wednesday of every month), using it as a motivator in writing new material. I’m planning on finishing at least an album's worth of songs by the end of the year, and then starting to lay down the tracks in the winter. I’ve got a good start with six, not including the two new ones we’ll be trying out on June 17. My hope is to get a new record out in late spring or early summer of 2016. Not sure how we’re going to pay for it, but we’ll cross that bridge when we get there. Q - I understand one of your new songs is "I Didn't Mean to Go," about the death of musician and friend of K.C. Haywood. Tell me the story of the song. K.C.’s loss was brutal. It was really tough seeing a good friend, with so much going for him (young guy, recently engaged to a great woman, new album in the can…), lying in that coffin. The only way I could think to process it was to write it out in a song. The first line that came to me was “I didn’t mean to go,” and that felt right. Singing it from his perspective let me give him a look at his life, and how fully he had lived it. It gave me the opportunity to let him say goodbye. I have a helluva list of favorites that I want to play the festival, but I also want to keep the underground feel that it currently has. It’d be great to get Caleb Klauder, Dale Watson, Robbie Fulks (local, but bigger than Chicago), Jim and Jennie And The Pine Tops… I talked to Kelly Hogan about putting together a country set, and I’m hoping the timing will work for that in the near future. Sturgill Simpson is on my list, but I couldn’t get him before his recent ascent, so that’s probably a pipe dream. I’d like to bring Red Meat and Freakwater back through. I’m not interested in anyone who isn’t playing music that I care about. After winning a breakout band contest in 2010, Chicago band Workout Music continues to carve out its own identity in the Chicago music scene. Workout Music will celebrate the release of its third studio album, "Every Other Time," by performing a free show June 26 at Double Door, 1551 N. Ave., Chicago. The Aaron Williams Band and Fletcher Rockwell also are part of the bill.The music starts at 8 p.m. I had the chance to talk to guitarist Ben Spotora about the new album. Q - Great talking to you. I know your third studio album, "Every Other Time," will be released soon. In sitting down to make the album, what were your goals and do you think you accomplished them? Is there a meaning behind the album's name? We wanted to mature with this album and work with a producer who could bring us to next level. I believe we did that ten fold. This "new" sound helped us get away from our gimmicks and allowed us to write songs that we are proud to show everyone. "Every Other Time" is actually the title track of the album. The reason we chose that song to name the album after is because the song represents our own realities and we believe it is very relatable. Q - Marc McClusky, known for his work with such bands as Weezer, Bad Religion and Everclear, produced the album. How did you hook up with him and what do you think he brought to the album? Working with Marc was a very different experience for us. We were not used to writing with an outside source, but I really think that it helped with the final product. He taught us how to simplify and listen to what makes sense. He also pointed out our strengths and showed us how to capitalize on them. Q - You've opened for such bands as Local H and The Presidents of the United States of America. What did you learn from such experiences? We learned that we still have a lot of work to do and ground to cover. You have to play your best for new audiences in order to gain fans and keep them. Q - What is the story behind the band's name? The name was originally a joke. Our old bassist envisioned a new band with a treadmill, a computed with a mustache, and a large man with a sweat band on. He said, "I'll just call it 'Workout Music' ya know?" We laughed at the idea and then a few months later, we started playing some dance-like tunes and thought back to the joke. After that, the name just stuck. Q - You are known for your live shows. What do you try to do in your shows? We try and create a party experience rather then just a concert. We like to go over the top and do the extra things to make our live show memorable. Confetti, Silly String, and custom made stage props are just a few examples. Q - It must have been an honor to win WGN TV's "Breakthrough Band" contest. What do you attribute to your win? Was that a real turning point for the band? Indeed it was, although it seems like forever ago ha ha. I really think our live performance gave us the boost we needed to win. We really pulled out all the stops to win that thing and as a result, it steamrolled us into some good local popularity. I would most definitely say it was a turning point for the band. Well, I think that the Chicago music scene is one to be reckoned with when it comes to musical talent. There are so many awesome acts that come out of this city and it has a very strong online, TV, and radio presence. The live scene is pretty good ,but I personally think it could be a lot better. Unfortunately, cover bands sort of rule the kingdom right now and that hurts the original bands. However, I do think it original music has been on the up and up again in the last few years, so let's hope that is the case. I think we fit in to the scene quite nicely. I think that our style is very likable and respected around the area and I hope to stick around for a long time. Short term, we would like to continue to write new music, play out of town more, and gain new fans. Long term, we want it all man, fame, fortune, and a solid music career. That is the goal and the dream.